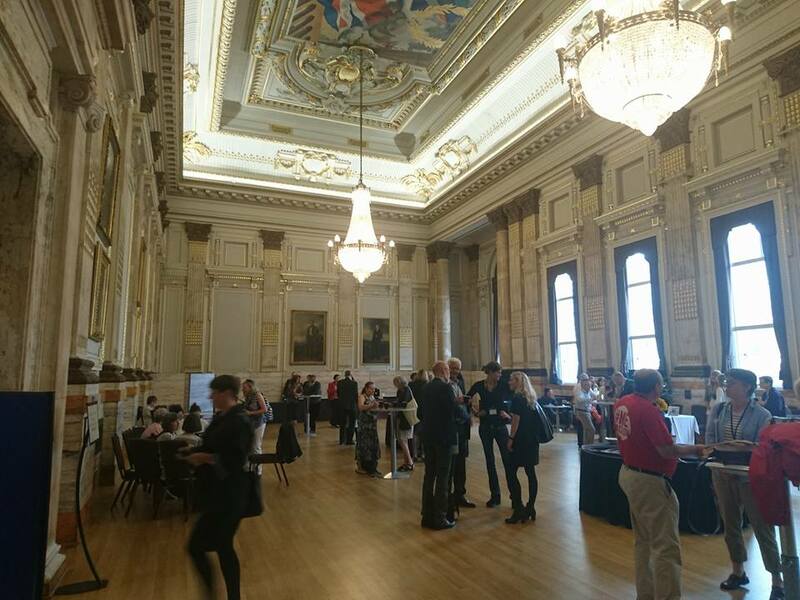 The 12th Invest in ME Research International ME Conference 2017 - IIMEC12 - took place on 2nd June 2017 in London and again attracted delegates from eighteen different countries - from Europe, North America, Middle East and Australasia. The conference day was preceded by the 7th Invest in ME Research Biomedical Research into ME Colloquium - two full days of closed researchers' meeting with over 70 eminent researchers from fourteen countries in attendance. This was the twelfth year that the charity had arranged this conference. This continuing effort to develop multiple international collaborations is beginning to pay off with clear evidence that a momentum started in the last years is being maintained and increased. Last year's BRMEC6 Colloquium witnessed a sea change and this year's BRMEC7 Colloquium has taken that to another level with top researchers collaborating and a refreshing sense of progress being made. In fact it is often commented that the Invest in ME Research Colloquiums feel like a family is meeting up - and that is exactly how we feel. A family of biomedical researchers working together to overcome years of negligence by official funding bodies, certainly in the UK. Most of the major centres from around the world attended and presented. Also present were the National Institues of Health (NIH) and the Centers for Disease Control (CDC). 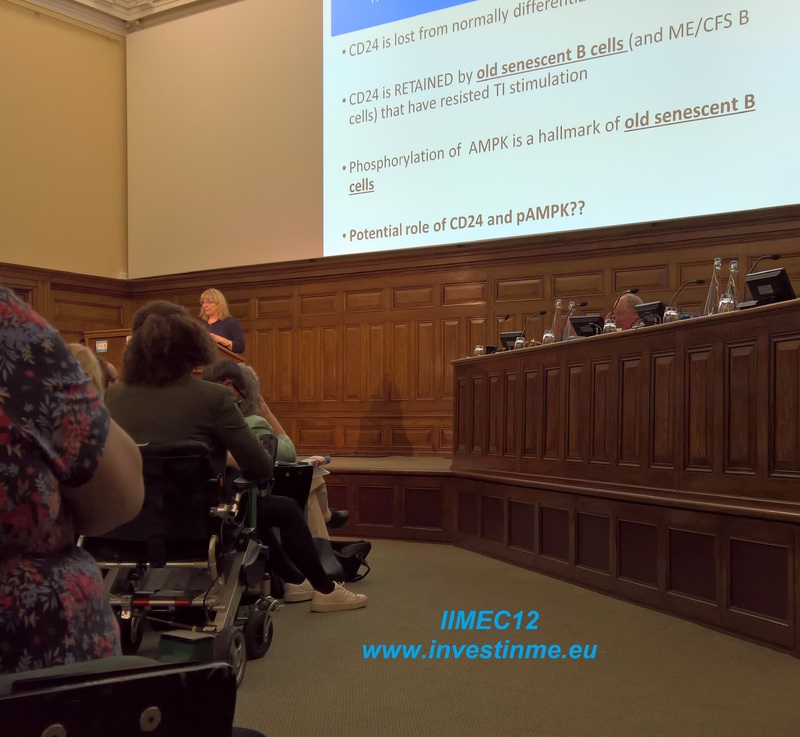 The IIMEC12 conference also showed some of the research being funded by Invest in ME Research - leading the way in the UK and establishing a permanent base of biomedical research into ME. 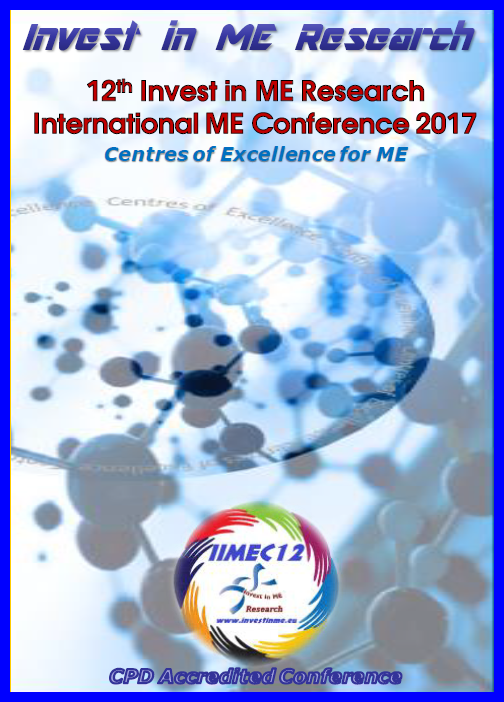 Prior to the IIMEC12 conference the charity held a two-day Biomedical Research into ME Colloquium (BRMEC7) - our seventh annual colloquium. Again our format brought together in these three days a large group of researchers (with and without prior experience of ME). We witnessed an incredible sense of collaboration based on high-quality science. By bringing in experts from different fields and concentrating on true international collaboration in biomedical research we have helped move things on for research in many countries. Dr. Whittemore is a Program Director in the Synapses, Channels and Neural Circuits Cluster. 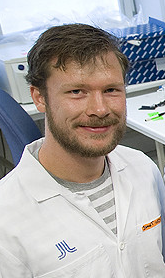 Jakob Theorell started his medical training at Karolinska Institutet in 2007. He is currently enrolled in the MD-PhD Program at Karolinska Institutet. 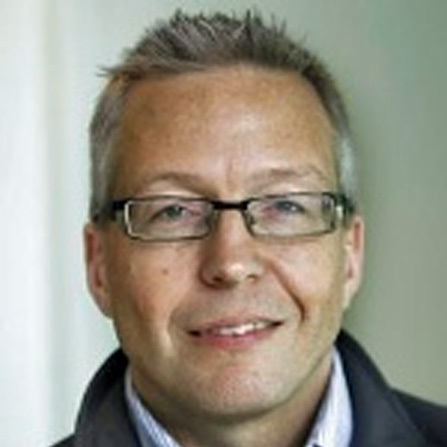 He works in the Yenan Bryceson Group in Karolinska Institutet in Stockholm. His work focuses on understanding the mechanisms of disease in patients suffering from chronic immunodeficiency syndromes. Students funded by Invest in ME Research are performing research into ME and this session will provide an overview of the work being performed by each student and allow questions from the audience about the research, their studies, impressions of research into ME, and on other issues related to their work. 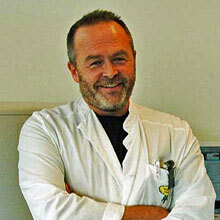 Dr Øystein Fluge received medical degree in 1988 at the University of Bergen, and is a specialist in oncology since 2004. He has worked as a Research Fellow with support from the Norwegian Cancer Society and is now chief physician at the Cancer Department, Haukeland University Hospital. Doctoral work emanates from the Surgical Institute and Department of Molecular Biology, University of Bergen. 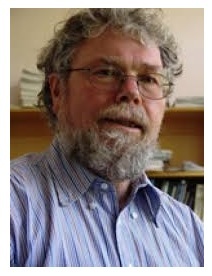 Professor Tate is an internationally respected biochemist, winner of the Royal Society of New Zealand's top science honour - the 2010 Rutherford Medal, and was also named a Companion of the New Zealand Order of Merit. His honour citation noted that Professor Tate was a molecular biologist, whose research had "revolutionised understanding" of how proteins were synthesised in living cells. His research had shown how proteins contributed to memory formation and neurological disease, and had important implications for HIV, Alzheimer's and chronic fatigue syndrome. 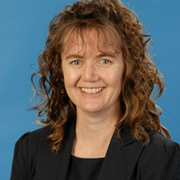 Professor Tate is a Fellow of the Royal Society of New Zealand and of the New Zealand Institute of Chemistry. He has been a Fellow of the Alexander von Humboldt Foundation of Germany, and an International Research Scholar of the Howard Hughes Medical Institute of the United States. Professor Ronald W. Davis, Ph.D., is a Professor of Biochemistry and Genetics at the Stanford School of Medicine in Stanford, California and a world leader in the development of biotechnology. 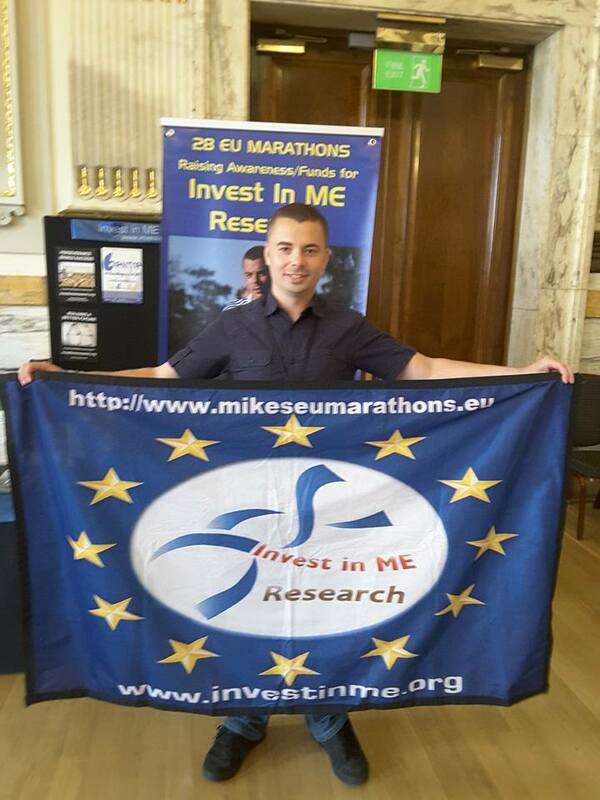 I was privileged to attend the 12th Invest in ME Research International conference on 2nd June in Westminster, London. This followed a 2 day colloquium where many of the top International ME/CFS researchers had gathered to discuss their work. At the conference there was a full day of presentations by a wide range of International speakers on a variety of associated topics. 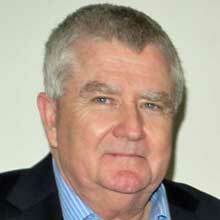 The conference was opened by Dr Ian Gibson. 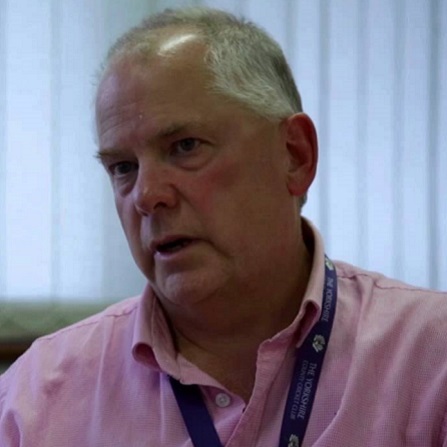 The first presentation was by Dr Ian Charles (leader of the Quadram Institute, Norwich, UK), who outlined the development of the UK Centre of Excellence for ME/CFS. He told us there are likely to be approximately 250,000 with ME/CFS in the UK, of which 25,000 are children and young people. Up to 84% may not yet be diagnosed. Possible causes were outlined, which included dysbiosis of the microbiota and possible auto-reactivity to commensal microbes. Norwich Research Park, with the interdisciplinary Quadram Institute of Food Health is Europe’s largest single-site concentration of research, and includes 3000 scientists and 14,000 students. There is a hospital on site. Research includes food science and also how the microbiome relates to the immune system and health. The study of genomics is increasingly important. Microbiome research is being addressed in many diseases. The Quadram Institute has a long term commitment and will be the UK/Europe hub for biomedical research into ME/CFS. A video was then shown of the enormous campus and how it will be developed to accommodate the associated research into ME/CFS. It will also include medical facilities. 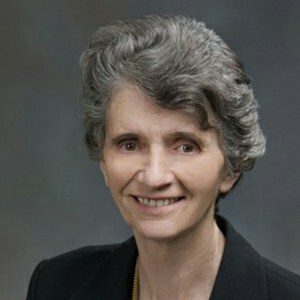 Dr Vicki Whittemore (NIH, USA) is programme director of the National Institute of Neurological Disorders and Stroke (NINDS). The NIH (made up of 27 institutes and centres) seeks knowledge about the nature and behaviour of living systems. The NIH is committed to ME/CFS research, both intramurally and extramurally. A current study is looking at 40 patients, 20 controls and 20 recovered Lyme disease patients. An extensive analysis and bio-specimen collection is being undertaken. The NIH is also organising seminars for building education, clinical and research issues. There is also revitalisation of the trans-NIH ME/CFS working group. This will stimulate research to include: identification of research priorities, a common data-elements project with the CDC and fostering of international research and collaboration. Canada is already collaborating. Funding has been significantly increased to $8 million. Common data elements: there is need to standardise and harmonise, with development of a common language. Many working groups will be involved. Funding opportunity announcements include: Determining the aetiology and pathology of ME/CFS, identification of subtypes, long-term studies and outcome measures and potential treatment targets. A timeline for setting these up is within the next 3-6 months. Long-term goals were discussed including support of treatment trials and improvement in quality of life. Professor Donald Staines (Griffith University, Qld, Australia) discussed their paper “Impaired calcium mobilization and dysregulation of transient receptor potential melastatin 3 (TRPM3) ion channels in Natural Killer (NK) cells from CFS/ME”. Their group were the first to identifyTRPM3 on NK cells. There is impaired calcium mobilization. They also have studied NK cells, and find function and expression significantly reduced. Calcium is an important intracellular cell-signalling messenger. Biochemistry and genetics are involved. Immunological research shows a significant reduction in NK cell lysis, characterised by immune dysfunction. Because of their decreased function in ME/CFS, NK cells are a useful model to study. Significant changes are also evident in the genetics of NK cells. SNPs may change the function. TRPM3 stood out as abnormal. Its actual role in intracellular calcium mobilization has yet to be determined. TRPM3 converts “threat” signals, and threats are managed by these channels. Calcium is the 2nd messenger in every system. Calcium is up to 1000 times higher outside the cell than inside. Receptors open pathways to do the work in the cell. TRPM3 is the predominant ion channel and its expression is down in ME/CFS. This is very important in glial cells in the brain. The calcium signals can be measured. Unstimulated CD56 bright CD16 dim/- NK cells showed significantly reduced TRPM3 receptors in ME/CFS compared to healthy controls. Pregnenolone Sulphate (preg-S) stimulated CD56 bright CD16 dim/- NK cells increased TRPM3 expression significantly in ME/CFS, but this was not associated with a significant increase in Ca2+ flux and NK cell lysis. Thapsigargin (TG) stimulated CD56 bright CD16 dim/- NK cells significantly increased NK cell lysis prior to preg-S stimulation in patients compared to controls. This may all provide evidence for their role in the pathomechanisms involving NK cell cytotoxity in ME/CFS. There are significant effects in this system. Manipulation of TRPM3 function may lead to therapeutic interventions. 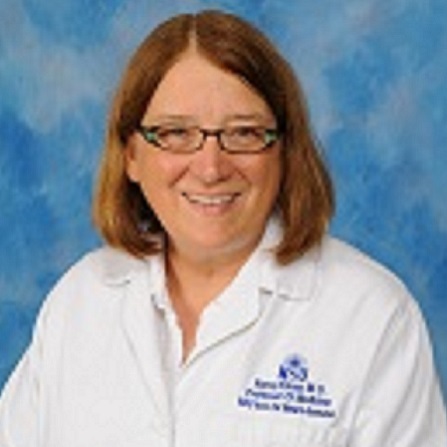 Professor Nancy Klimas (Miami, Florida) – reported on their genetic signature study. She pointed out that genetic studies are expensive, and large numbers of patients are needed – as many as 30,000 to be finding significant differences, therefore much funding is needed. She is part of a very large team. She outlined the symptoms of the illness. Studies are being undertaken to determine diagnosis, genetic risk, explanation of the illness and prediction of therapy. The gene study is unique and a huge challenge. Is there a genetic signature which determines why one person recovers and another remains ill? 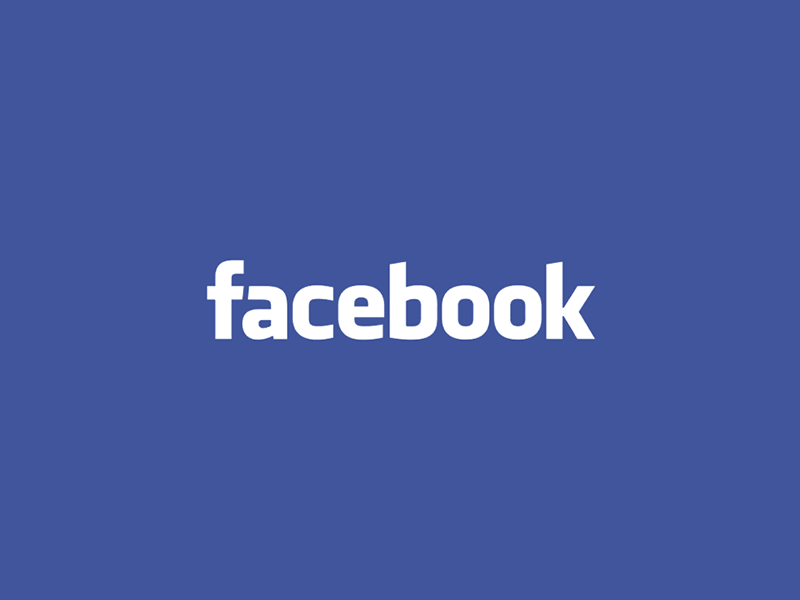 Students are using social media to recruit participants, who are asked to donate data rather than dollars. Development of a registry can be done on line, finding out history, illness progression etc. Many answers may be found. Basic single nucleotide polymorphism (SNP) methods can be used. A SNP is a single mutation in a gene – we have thousands of these (maybe 10 million), which make us the individuals we are. The approach using genetic data and symptom questionnaires could be used to look at potential treatments, diagnostic tests etc. Targeted treatments could be developed and tailored. The main barrier is money. Brainstorming is a very useful approach, with aggressive partnerships and more student power. Developments over 18 months are already in progress. The smallest number of participants to discover one abnormal SNP association is about 800. She said we need the “help of the world” and this project needs to “go viral”. Dr Jakob Theorell (Karolinska Institutet, Sweden) works focussing on the understanding of the mechanisms of disease in patients suffering from chronic immunodeficiency syndromes. As an example of his work he initially discussed a rare potentially fatal disease in babies - Familial hemophagocytic lymphohistiocytosis (FHL), a disorder in which the immune system produces too many activated T cells. He has been studying NK cells and cytotoxic T-cells in ME/CFS. SNPs keep us in balance. Cytotoxic lymphocytes, part of our immune memory, have been found in other studies to be dysfunctional in ME/CFS. Effector cells attach to target cells. Assays using whole blood lymphocytes can be used to detect the impairments. Variables could select patients from controls. Cytotoxic lymphocyte counts can be done as well as looking at cytotoxic proteins. In ME/CFS, NK cell “killing” is reported as reduced. His study was on 48 patients from 2 cohorts and matched controls. Consistent differences were not found between patients and controls in cytotoxic lymphocyte numbers, cytotoxic granule content, activation status, exocytotic capacity, target cell killing, cytokine production or reprogrammed NK cell expansions. He concluded therefore that NK function could not be used as a biomarker for ME/CFS. Adrenaline may be important and there may be down-regulation of adrenaline receptors, responsible for lymphocyte defects. 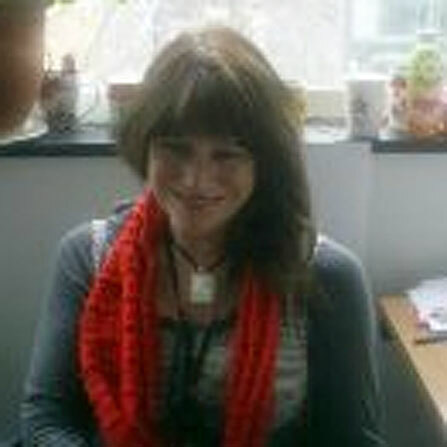 Professor Jo Cambridge/Fane Mensah (University College Hospital, London) – works in the area of B-cell depletion treatment (Rituximab) in rheumatoid arthritis. Rituximab only works in sero-positive patients, not sero-negative. After treatment there is a delayed return of B cells – memory cells having been left behind, leading to gradual repopulation of the B cells. The number of B cells returning is not related to relapse. Rituximab works if auto-immunity is present. It stops new B cells differentiating to plasma cells. It also stops the interaction of B cells with T cells. Relapse occurs when B cells start to mature. An aberrant immune response is occurring. There are 2 types of patients: responders and non-responders. Cell differences include: memory-1 marginal zone B cells associated with IgM, CD24 which has a role in B cell maturation. CD21 which decreases over time and correlates with disease duration. Marginal zone (MZ) B cells are a subset of peripheral B cells that with other cell types may be important in the induction of auto-immune disease. MZ B cells were discussed in relation to the antibody response to Epstein Barr Virus (EBV). : Phase 1 – IgM antibody recognizes carbohydrates, IgM paints the infected cell, then fixes c-lysis. In Phase 2 the proper immune response kicks in with innate B cells. These do not make many antibodies, are associated with auto-immunity and drive the auto-immune response. In EBV the IgM is activated. In ME/CFS the IgG EBV antibody may be lower. Carbohydrate is recognized and has effects. There is increased expression of CD24 on B cells. There is high retention of CD24 on B cells, but this is age dependent and is lost with increased age. The mitochondrial mass in B cells is lower in ME/CFS. Their conclusions were that B cell subsets can be used to test metabolic changes. Antibodies can be involved in ME/CFS, and is there perhaps a role of metabolic processing in ME/CFS? Professor Simon Carding (Norwich, UK) presented his team of young researchers from the University of East Anglia, who are researching the gut virome. 1. Fiona Newberry discussed the differences between the healthy and unhealthy gut. She described how a viral infection could cause inflammation and change in the microbiome. There could then be bacterial leakage into the bloodstream with auto-immunity. 2. Ernie (Shen-Yuan Hsieh) had looked at faecal samples for viral isolation and viral DNA extraction and sequencing. The viral inflammation could lead to leaky gut. He was looking to see if the viruses isolated could influence and/or kill their bacterial hosts in the gut. 3. 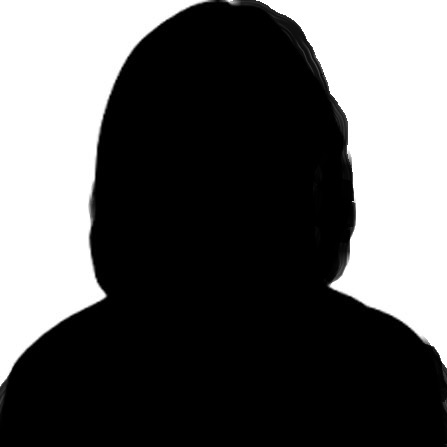 Fiona then had looked at sequencing the viruses and coding DNA, putting this on the computer leading to viral informantics. Viral genomes are not yet characterized, and are often very similar. 4. The next presentation looked at the differences in the microbiome in ME/CFS. There was reduced diversity in the gut. Gut leakiness may link with the immune system. IgM antibody is secreted into the gut to cope with the bacteria. This may affect gut permeability. It is possible to separate the IgA negative and IgA positive bacteria. 5. Katharine Seton had looked at the bacteria in the gut in relation to auto-immunity. The aim of all this work was to look at suppression of the immune response – possibly with drugs, to look at bacterial therapy (possibly faecal transplants) and to do a Rituximab clinical trial. 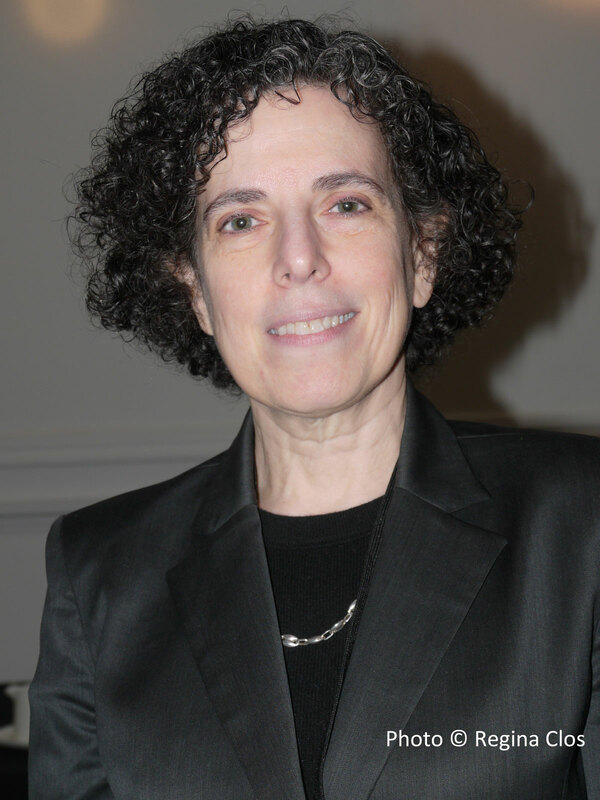 Associate Professor Mady Hornig ( Columbia University, NY, USA) discussed gut metabolome-immune disturbances in ME/CFS subsets. She firstly reviewed the metabolome and immune disturbances. She discussed the influences of genetic factors, epigenetic regulation and environmental exposures during pregnancy and later life. Infection and immune factors have been shown to be relevant in some brain disorders. Normal microbiota modulate brain development. There is often gastro-intestinal co-morbidity in brain conditions (e.g. Irritable bowel syndrome in ME/CFS). In ME/CFS there is less diversity of the microbiota. Toxins, bacteria and undigested foods can escape into the bloodstream. There has been a staged strategy for pathogen discovery in immune-related brain disorders. Many viruses and bacteria have been proposed as possibly associated with ME/CFS. Viruses are likely to activate immune signaling in the CNS. 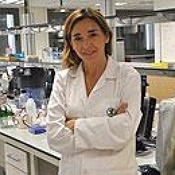 She discussed profiles of immune markers, mechanisms of fever production and development of POTS. Viruses entering the brain can be associated with circulating cytokines crossing the blood-brain barrier (BBB) and with sympathetic NS activity. Distinct plasma immune signatures in ME/CFS are present early on. IFNα changes with duration. Inter-cytokine networks also change with duration. They had also looked at the cerebro-spinal fluid (CSF). There were reduced levels of a number of cytokines. There was a difference in regression model of association of cytokines. Bacteria from the microbiome can cross the BBB to cause microglial effects. There may be an autoimmune basis. The metabolome can affect such things as intestinal motility. These are very complex systems: e.g. Microbiota→ Metabolome→ Brain axis There is a need to look at patients with and without IBS. 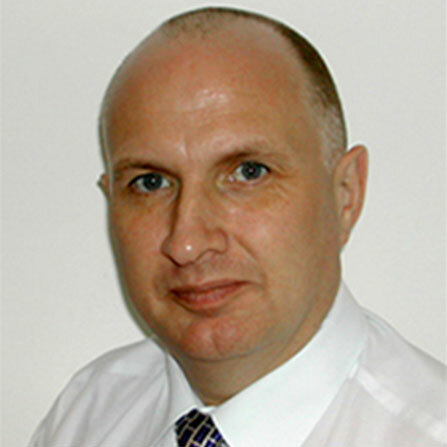 Professor Olav Mella (University of Bergen, Norway) – started by giving a review of their clinical studies focusing on the use of RituxME (rituximab) and CycloME (cyclophosphamide). Earlier studies indicated that B-lymphocyte depletion may result in symptom improvement in a subgroup of ME/CFS patients. A Phase 3 double-blind, placebo-controlled intervention study with rituximab is now underway and due to be unblinded in October 2017. In the earlier rituximab trials, responses were transient and as B cells returned there was likelihood of relapse. Maintenance treatment therefore seems likely to be needed. Maintenance of the drug increased the response. The study of severe patients had to be stopped because of difficulties in getting patients to hospital. There was often a lag time before response. Auto-antibodies are likely to be involved. This all gave rationale for further studies. There is a need to look at dosage, resultant quality of life and overall improvement. This led to the Phase 3 study. Money was raised for a national RituxME study. 152 patients are enrolled. Treatment is not to be used outside clinical trials. There are occasional serious side effects. The cyclophosphamide trial resulted from a positive response by 2 out of 3 breast cancer patients treated with the drug, who also had ME/CFS. The level of the dose is very different in non-cancer patients. This study will finish in July. So far there are some good responses. The drug induces an early menopause. A new study has been started with CycloME with slightly less frequent injections. They also want to do metabolite analysis on the serum, and also look at the effects of patient serum on metabolites. They are finding that normal cells behave differently in ME/CFS serum, than in controls. His conclusions were: ME/CFS is an immune system disease, with mitochondrial abnormalities and a lack of ATP. There are thus widespread symptoms from multiple systems, with compensation mechanisms. When improving, all symptoms appear to improve simultaneously. Their future depends on the outcome of the rituximab study, and the pursuit of cyclophosphamide intervention. Dr Ingrid Rekeland (Bergen, Norway) discussed more of the Norwegian work on behalf of Prof Øystein Fluge, who was recovering from injury. She discussed the likely obstruction of metabolic pathways in ME/CFS. She raised the questions as to whether this is an immunological variance of an auto-immune disease, and what are the biological effector systems. She cited the fact that B vitamins are coenzymes in the pyruvate dehydrogenase (PDH) complex, and this is closely related to the TCA cycle and electron transport train. The amino acid pattern suggested functional impairment of pyruvate dehydrogenase, supported by increased mRNA expression of the inhibitory PDH kinases. 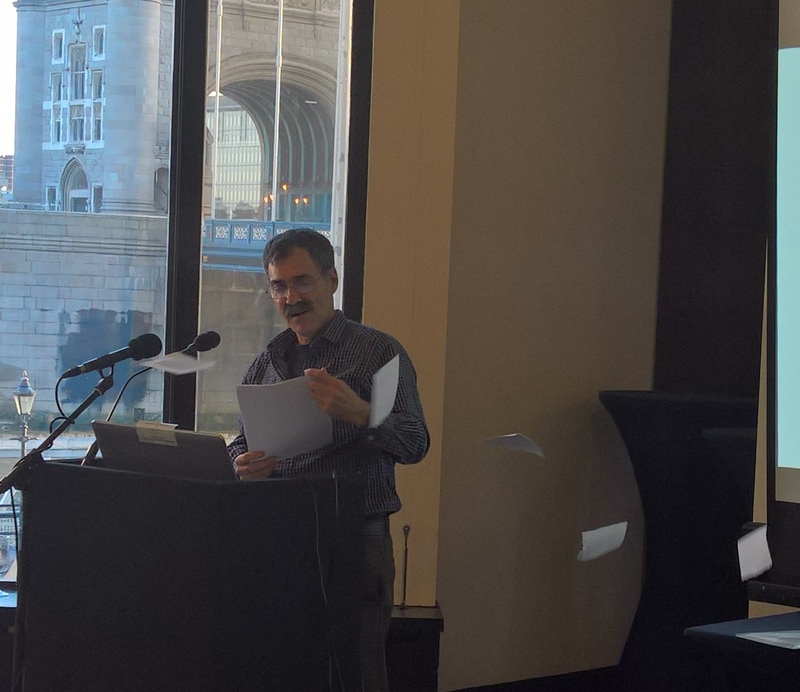 Professor Warren Tate (University of Otago, New Zealand) started by explaining how he, as a biochemist had come to be involved in ME/CFS research. His 14 year old daughter had developed the illness after EBV. He graphically likened the research to the piecing together of a jigsaw puzzle. He is researching a small number of patients employing the technique of Precision Medicine (many tests on a small number of patients). MicroRNAs control all our physiology, and their study reflects what is going on in the body. Data has been collected on the transcriptome and the proteome as well as plasma microRNAs and cytokines, with the aim of integrating the data to elucidate linkages between different classes of molecules, and to give insight into physiological changes. Functional connections were shown between 9 out of 10 upregulated genes when the transcriptome was examined. A number of biochemical pathways are modulated. There is phosphorylation of protein kinase R in a chronically activated immune system. The PKR ratio in lymphocytes is elevated in ME/CFS and this has promise for further research. A small 10 patient study focusing on exercise intolerance and biochemical changes is also underway. Studies will be extended to include mitochondrial function and epigenetic changes in the DNA, particularly in relation to factors perpetuating the illness. The idea was discussed of the potential value of studying one patient long-term with regular (say monthly) analyses of many biochemical and immune parameters. This would be particularly important to see what was occurring during relapses and remissions. Genome sequencing can be done as it is less costly. His team is using a Big-Data approach: 20 severely ill patients, 10 controls and 8 families (including unaffected members who are ideal controls). The overall number of controls is reduced as each analysis for them costs as much as for the patients. A very long list of factors which are being measured was shown. Various results and ongoing studies, innovations and potential studies were presented: 1. Cell free DNA quantification of 20 SIPs samples and 10 controls – 2 out of the very severe patients showed up very high levels. 2. Multiplex viral sequencing in clinical samples with analyses of viruses. 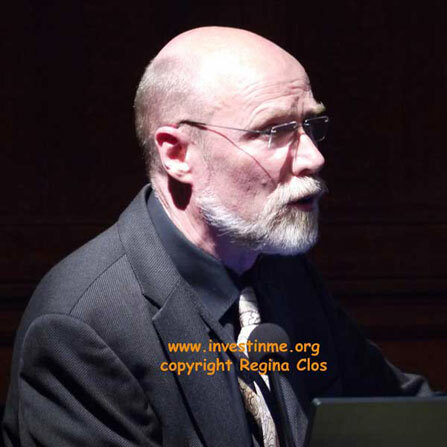 No viruses were detected in most ME/CFS patients. Healthy controls had more viruses than the patients. 3. Search for new pathogens – This was complex analysis but no new pathogens were found. 2 TT viruses were found, but controls had more than the patients. 4. Mitochondrial DNA in the severely ill – the same as in healthy controls 5. Cytokine levels track with phenotype severity – results will be on the Open Medicine Foundation website. 6. Disrupted metabolomics – here there is great complexity. There are some deficits and some surplus. 193 metabolites were examined. This relates to the TCA cycle. There was not the same result for all patients. Results were different to those found by Naviaux. 7. Lactate, glucose, sodium and potassium can all be measured using a sweat band, but this is expensive and a small inexpensive chip has been designed by Ron Davis. 8. The power of induced pluripotent stem cells – can be produced from blood for an infinite supply of various cell types. 9. Can use CRISPR genome editing technology. 10. A diagnostic test is needed. A nano-needle biosensor can be used to detect cells and molecules via electric signals. Adding sodium chloride gives a clearer signal. But results do need to be tested against other diseases. A simple silicon chip may be developed and cheaper to use. Maybe only 1c – a circuit on a chip for cell sorting, but a software programme would be needed for interpretation. 11. Mixing of healthy cells with healthy serum – normal. Mixing of ME/CFS cells with healthy serum – positive results. Mixing of healthy cells with ME/CFS serum – mild reaction from normal. 12. Magnetic levitation device – separates cells and can potentially identify ME/CFS patients. The important thing now is to share analyses with other researchers. Finally he discussed the fact that patients may get benefit from side effects from drugs used in other illnesses. For example, Suramin, an old drug discovered in 1916, is used in Africa to treat sleeping sickness. It shuts down the serogenic receptor, and works by inhibiting the signaling function of adenosine triphosphate (ATP). It is being trialled for use in autism .It is also possible it may help in ME/CFS. One dose only, administered IV may be needed. But the drug is not now easily available. The conference concluded with a question and answer session and comments from Dr Ian Gibson about how far and excitingly the research has advanced. Invest in ME Research were thanked for the enormous amount of effort put in to organizing this event. I must thank both Invest in ME Research and ANZMES for their support in helping me to attend this conference. 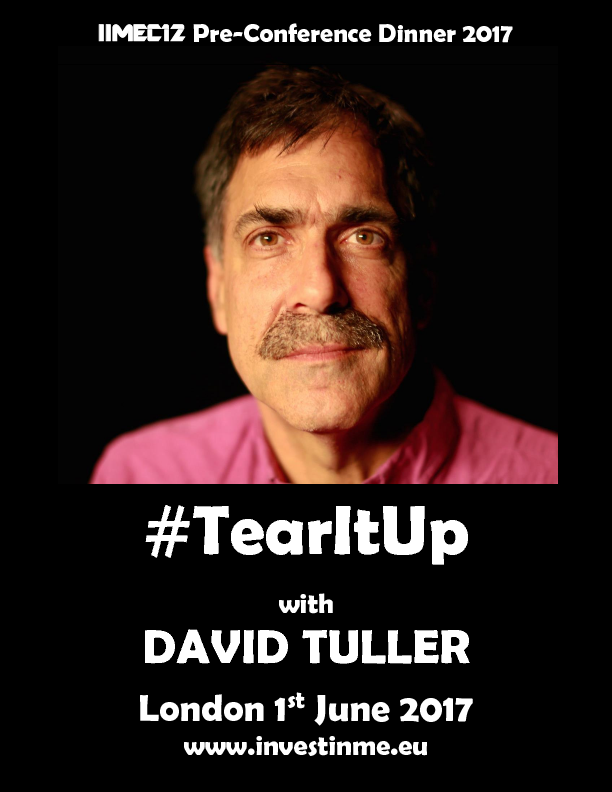 The DVD contains 4 discs and is in PAL format- and contains the full presentations from the 2017 conference plus plenary sessions, and the pre-conference dinner keynote speech by David Tuller. 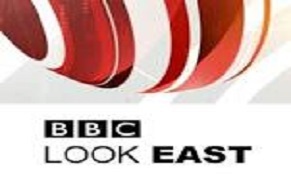 This educational DVD has been produced thanks to a grant from the Big Lottery Fund. Thanks for another wonderful ME colloquium and conference. Everyone thought it was all the best ever. Thank you so much for a very interesting colloquium and conference! I learnt a lot and met many dedicated people. Thank you for an excellent conference. it was my honor to join all of you at the conference, and I am so excited by the progress in the last year. The conference was incredible and one can't help listening to the presentations that the next few years are going to bring so many new and impactful discoveries. I send you and your team my heartfelt thanks for the last two days. I would like to thank you for the great meeting! Thanks for a very interesting conference! I will definitely come next year. Thank you for all you are doing to enhance research into this terrible disease. An excellent conference with amazing insights to the research being undertaken in ME. Invest in ME Research organised and hosted the Biomedical Research into ME Colloquium number 7 on 31st May - 1st June 2017. Over seventy researchers from fourteen countries were invited to the two-day meeting. This Colloqiuim was also opened by Dr Vicky Whittemore from NIH and Dr Elizabeth R. Under from CDC. The collaborative atmosphere and planned cooperation resulting from the Colloquium will help further progress research and ultimately help patients. Our aim is to maintain this collaborative atmosphere where researchers can create new understanding about this disease and form new projects. Invest in ME Research wish to thank the following organisations for helping us with the 12th Invest in ME Research International ME Conference 2017. 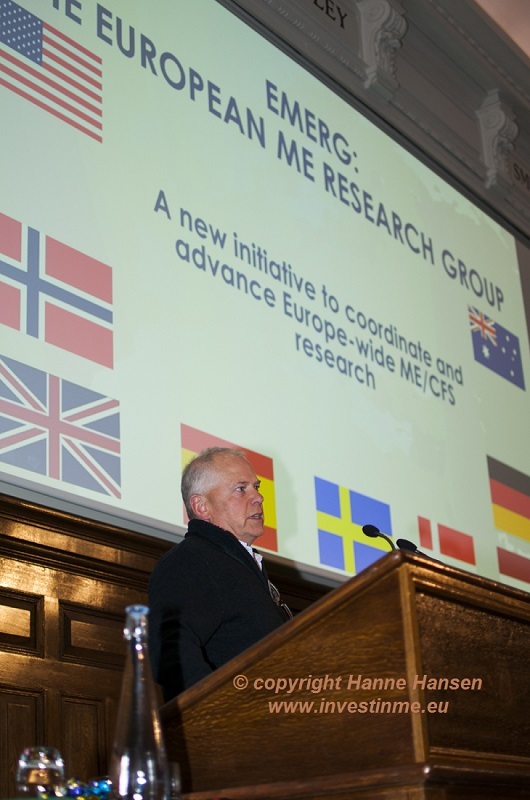 Invest in ME Research are very proud to announce that EMEA Norway member Norges ME Forening (NMEF) is supporting IiMER with a donation to the IIMEC12 conference. "Last year Norges ME Forening sponsored the IIMEC11 conference by making a donation to the costs. NMEF have always been supportive of IiMER and the conferences and we regularly welcome back so many Norwegian friends every year to London. 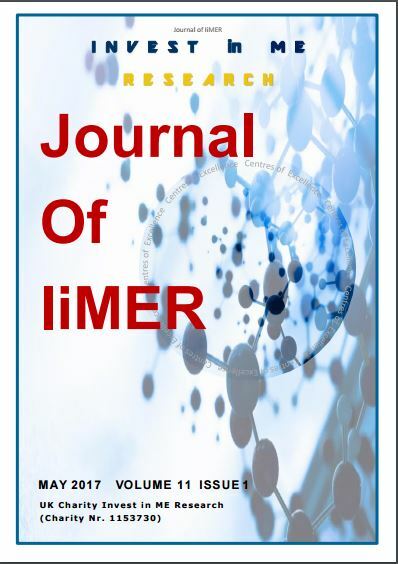 We would like to express our great thanks to NMEF for again helping IiMER in this way. Invest in ME Research continue to be impressed and amazed at the the continuing efforts that NMEF make in changing the way that ME is perceived and treated and the benefits that their work brings to the lives of people with ME and their families - not just in Norway but around the world. NMEF lead by example. The results of their work - in improving education about ME, in fighting for patients' rights, in countering false information and flawed research about ME - has been an inspiration for many. NMEF is at the centre of European collaboration and IiMER can always look for good advice and information from our Norwegian colleagues. Recently the charity hosted a visit by the research team from Haukeland University hospital in Bergen to the UK Centre of Excellence forming in Norwich Research Park. This amazing team has achieved so much with relatively few resources. Yet their achievements resonate across the world. In the same way one can look to NMEF for astounding achievement, for strong and reliable support for biomedical research and for a real understanding of what this disease really is and how it affects patients, families and friends. Again this year IiMER looks forward to welcoming many Norwegian friends, patients and carers to IIMEC12 conference and it is one of the highlights of the conference events. Already we have invited and received acceptances from nine Norwegian researchers to participate and/or present at our 7th Biomedical Research into ME Colloquium (#BRMEC7) in London - a two day closed researchers meeting that precedes the #IIMEC12 public conference. Thank you Norges ME Forening - from all at IiMER and from all our supporters - for all that you have continue to do to help people with ME"
Invest in ME Research are very proud to announce that EMEA Sweden member Riksföreningen för ME-patienter (RME) has made a kind donation to IiMER to help with the conference costs. 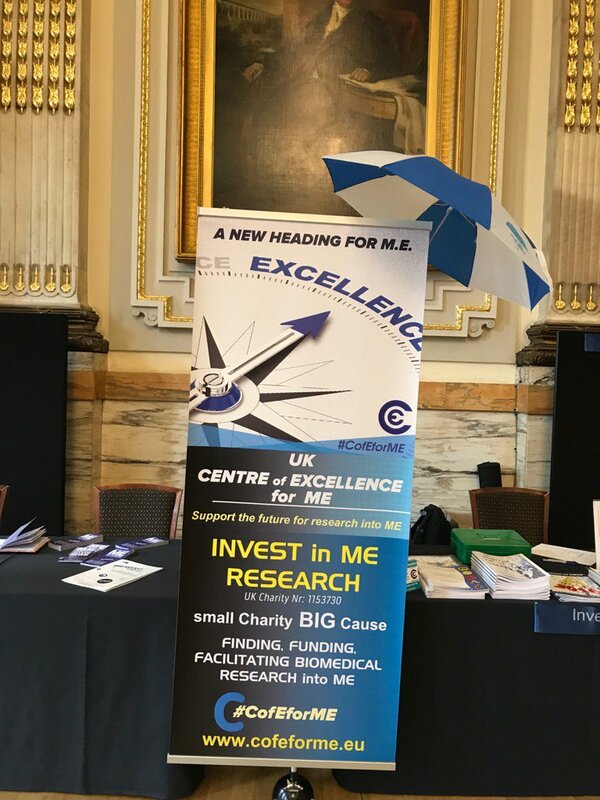 ""On behalf of Invest in ME Research, I would like to thank the board of RME for the donation, which was given to Invest in ME Research to help with costs of the IIMEC12 London Conference organised by the charity. Again, RME Sverige has donated to Invest ME Research to assist us in covering the costs of the Conference. As we mentioned last year this support not only helps Invest in ME Research with the costs of these events but also illustrates the continuing cooperation with RME as we jointly, within the European ME Alliance, develop a strategy of collaborative biomedical research into ME. With our Swedish friends, we have been able to facilitate new research collaborations between Swedish and UK researchers and form a European ME Research Group of researchers who cooperate - all for the betterment of science and the future for ME patients. And thanks to support from our Swedish friends and colleagues we are able to announce new input this year to the Colloquium/Conference events from Karolinska Institutet. Like RME, Invest in ME Research seek to have high-quality biomedical research applied to ME and this cooperation assists with that objective. We have had RME joining us at our BRMEC5/BRMEC6 Colloquiums in the last years and again this year we continue to cooperate as we develop further plans. This all bolsters the ongoing development of the European ME Research Group, which develops European research into ME. Again, this year IiMER looks forward to welcoming many Swedish friends, patients and carers to IIMEC12 conference and it is one of the highlights of the conference events. We have so far invited seven Swedish researchers to participate and/or present at our seventh Biomedical Research into ME Colloquium (BRMEC7) and twelfth International ME Conference. The donation will be used to cover some of these costs. 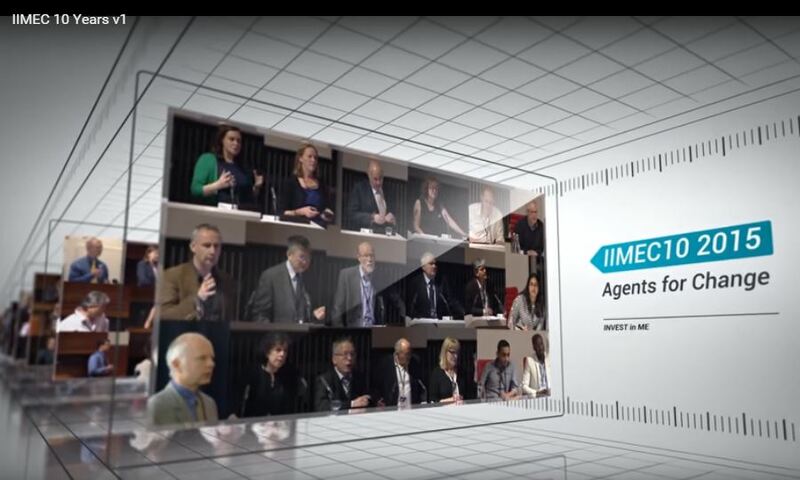 Invest in ME Research are very proud to announce that EMEA Ireland member IMET (Irish ME Trust) has again agreed to sponsor a speaker at the annual IIMEC* conference - IIMEC12 on 2rd June 2017. This is the twelfth year that IMET have supported IiMER in this way. IiMER chairman Kathleen McCall writes - "For yet another year we would like to express our thanks to IMET for again helping IiMER in this way. 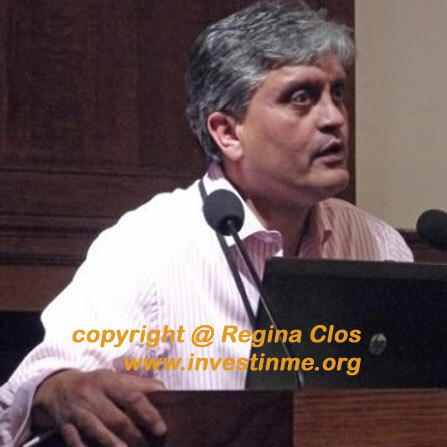 Twelve years of support given by IMET to IIMER and which has enabled IIMER to continue to organise a platform of international biomedical research into ME which demonstrates to researchers, healthcare staff, the media and politicians that real progress in discovering the cause(s) of ME can be made with the proper direction being given, and appropriate funding. IMET continue to be at the heart of European collaboration and are not only good friends but also have been consistent in all their work for ME patients and their families. Thank you IMET - from all at IiMER and all our supporters - for all that you have done andare doing to support research into ME and to help people with ME"